CRYSTAL CLEAR is a trick that is perfect for family shows. 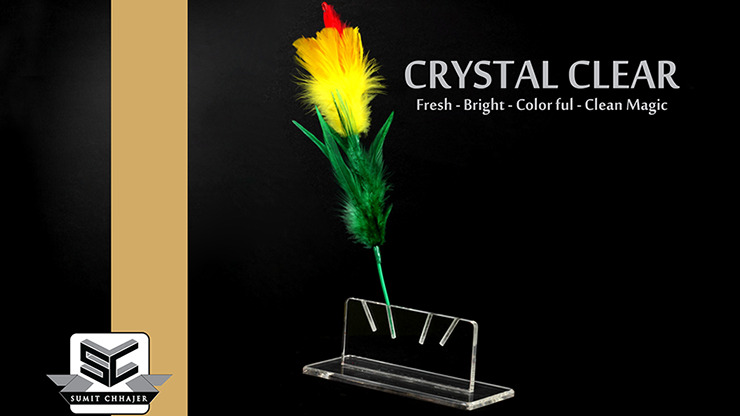 Doing a trick with feather flowers can add color and a visual quality to any family program, and this is a great one. Show a clear, empty rectangular tube - continually turn it and allow the audience to see right through to the other side. Empty. Suddenly, a feather flower fills the tube! Remove it and place it on a beautiful stand. Then do it again! And again! And yet again! Four flowers from an empty tube - magical, breathtaking and colorful!